As this article is being written, there are thirteen days remaining until a possible government shutdown on the last day of Fiscal Year 2015 (FY 2015), September 30, 2015. There is no plan right now to avoid this happening. Much of what is going on hinges on some very conservative House members who insist any funding bill must include language to defund Planned Parenthood and prohibit certain abortion procedures. In addition there are some members of Congress who believe the current budget caps are adequate, if not too generous. The earliest the House could bring up a Continuing Resolution (CR) — a stopgap bill to keep the government operating while Congress figures out a short or longer term plan for funding for FY 2016 — is September 24 or 25. However, if the House did complete a bill and send it to the Senate, Senator Ted Cruz (R-TX) already has announced he will use any available parliamentary means to hold up such a bill. If the Senator decided to filibuster the bill, there would not be enough time to complete action before the September 30 deadline. Majority Leader Mitch McConnell (R-KY) has hinted he might try to take the lead on passing a CR if the House does not act first. He would like to get a “clean” CR, a bill that does not include the controversial policy riders mentioned above. He has also acknowledged a budget deal is necessary to raise the very tight budget cap on spending. Without a deal the budget caps will continue to shrink until Fiscal Year 2021, as passed in the Budget Control Act of 2011. The Democratic leadership would also accept a clean CR. However, they would prefer a short-term fix that does not go beyond November 20. Keeping to that deadline would provide Congress time to negotiate a budget deal to raise the caps. Speaker of the House John Boehner (R-OH) has suggested a CR until December 11, which would more likely result in a year-long Continuing Resolution. A year-long CR is definitely to be avoided. Usually a CR means level funding. However, since the budget cap for the next fiscal year is tighter than the current cap, in fact a year-long CR at level funding would exceed the budget cap for FY 2016, necessitating an across-the-board cut. The one sector of government that would still get an increase is Defense, which would receive a $16 billion bump due to a technical issue. The other problem regarding a year-long CR for FY 2016 is that it would most assuredly lead to another year-long CR for FY 2017, with election politics getting in the way of a serious budget discussion. So given all the “ifs” outlined above, there is now a very real possibility of a shutdown. When a shutdown occurs, government employees, including congressional staff, are not allowed to work. In the past they have been reimbursed for lost time; however, any consultants working for the government would not be reimbursed. As for government benefits to citizens such as Social Security, those would also be jeopardized depending on how long the shutdown lasts. NDD United — the large national coalition that represents all sectors of the government, except defense, of which LDA is an active member — will be rallying on October 7 on the Capitol grounds to protest a government shutdown and to push for a reasonable resolution to the tight budget caps. Representative Steny Hoyer (D-MD), the Democratic Whip, will sponsor the rally. LDA will be represented at the rally and is carefully monitoring all aspects of this budget battle. The Association for Career and Technical Education (ACTE) has released the first component of a multi-phase research project to identify and share best practices in a high-quality career and technical education (CTE) program. The goal is to develop a single framework to guide education leaders and policymakers in designing “next-generation” CTE. In developing the document, Defining High-quality CTE: Contemporary Perspectives on CTE Quality, ACTE investigated a variety of sources from white papers to national organization standards and rubrics. The compilation of information indicates these frameworks mirror ongoing trends in successful CTE programs, known previously as “vocational education,” while still allowing a broad range of strategies for implementing high-quality programs of study. The paper’s release is the first step in the project’s initial phase, focused on defining high-quality CTE programs of study. Next steps in this initial phase are to expand on these findings for use in developing ACTE’s own high-quality CTE program of study framework and to pilot the tool’s success. Later phases of the project will focus on evaluating and recognizing CTE quality. 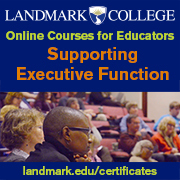 The Perkins Career and Technical Education Act (Perkins) is overdue for reauthorization by Congress. LDA is a partner in a national coalition led by ACTE to examine current law and prepare principles and recommendations going forward. 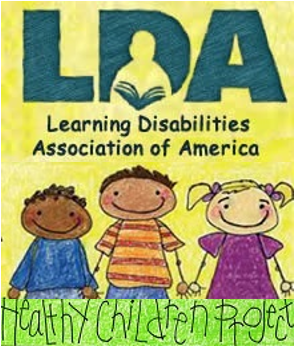 LDA is paying particular attention to ensuring “special populations” are mentioned throughout the recommendations, so students with specific learning disabilities can benefit from these valuable programs. With the well-researched correlation between poverty and learning and other disabilities, the most recent report from the U.S. Census Bureau on the poverty rates in America is quite troubling. The report, released in mid-September, found 46.7 million people living in poverty, 15.5 million of whom are children. This translates to a poverty rate in 2014 of 14.8 percent, unchanged from the previous year. Of even greater concern is that more than 20 million children and adults are not only poor, but live in deep poverty. For a family of three in 2014, deep poverty translated to an annual income below $9,425. Research indicates people living in deep poverty face significant challenges and are more likely to remain poor than others in poverty. Children are the most affected by deep poverty. The Census Bureau report states 6.8 million children, or 9.3 percent of all children in America, were living in these circumstances in 2014. For African-American children the rate of deep poverty is 18.2 percent, and 12.9 percent of Hispanic children are part of families living in deep poverty. Poverty has serious life-long consequences for children – greater likelihood of chronic health conditions, mental health problems, and educational challenges, among other negative outcomes. The report notes these families are also the least likely to have access to support from means-tested benefits, such as Temporary Assistance for Needy Families, the Supplemental Nutrition Assistance Program (food stamps), and child care subsidies. The data indicate 62.4 percent of families living at 200 percent of the poverty line receive these benefits, while only 13.8 percent of families in deep poverty receive these supports. Understanding the extraordinary barriers that contribute to persistent poverty for some families is important in crafting new, and strengthening existing, policy solutions. Multiple barriers include homelessness, immigration status, language, chronic illness, addiction, and physical and intellectual disabilities. Families also deal with barriers to work, such as lack of education, in turn affecting housing and many other aspects of a stable life. Some of the means-tested supports mentioned above have work requirements, so these families are caught in a vicious cycle. Lack of child care adds yet another significant barrier to finding employment. These Census Bureau data reinforce the need to focus policy efforts on reducing the number of families living in deep poverty for the well-being of these individuals and their children. 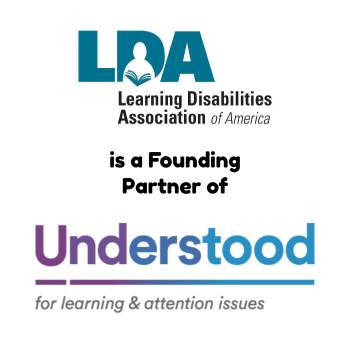 Part of the LDA mission is to reduce the incidence of specific learning disabilities and addressing the national crisis of poverty would provide a significant step in the right direction. For more details on the Census Bureau findings, click here. The National Center for Education Evaluation (NCEE) recently examined the district and school retention rates for teachers trained through residency programs. In this teacher preparation model, prospective teachers complete graduate level coursework while engaging in a year-long fieldwork experience in the district where the teacher will work. An experienced classroom teacher provides guidance, allowing the prospective teacher to learn firsthand what teaching is all about while taking on increasing classroom responsibility. In addition, once teachers take full charge of their own classrooms, they continue to receive mentoring and support to be successful during that first critical year. The NCEE brief is based on a study of residency programs funded through the U.S. Department of Education’s Teacher Quality Partnership program. The brief looks at two cohorts of teachers trained in residency programs – one group in their first year of teaching, and the other in their second year. To provide context, NCEE also included retention information based on a representative sample of teachers with similar experience as the residency teachers, but who were trained through other types of programs. NCEE found teachers trained in residency programs were more likely to remain teaching in the same district than non-residency teachers with similar teaching placements. School level retention rates were similar between the two groups. They also found residency programs somewhat broadened the pool of people entering the profession in the districts they examined. New teachers in the residency programs were more likely to have worked full-time in other professions. Both House and Senate bills to reauthorize the Elementary and Secondary Education Act (ESEA) include permissive language on teacher and principal residency programs. This indicates a recognition that new teachers need better support as they enter the profession, as well as perhaps the need to draw from other professions to deepen the experience and pool of potential teachers. To read the brief, click here. For more information on teacher residency programs click here.